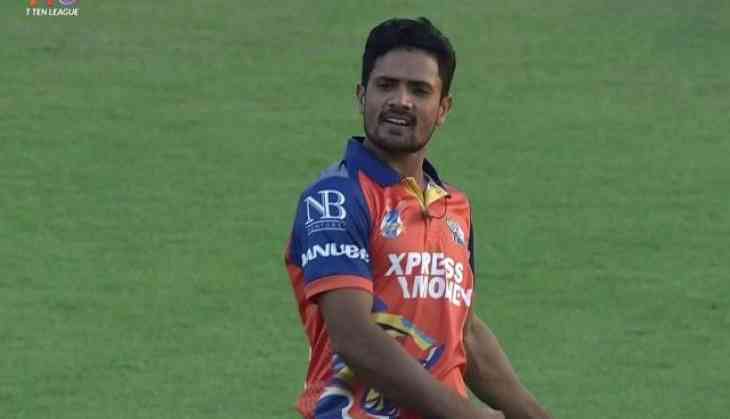 Pakistani bowler Aamer Yamin bowled the first maiden over in the ongoing T10 league being played in UAE. Yamin also became the first bowler to take a hatrick in the league and took 4 wickets in 4 balls. Bengal Tiger's Aamer Yamin achieved this feat against Northern Warriors in the T10 league. The medium-pacer dismissed Lendl Simmons, Rovman Powell, Ravi Bopara and Hardus Viljoen off the first four balls in the ninth over. T10 league is a professional ten-over cricket league approved by Emirates Cricket Board. It is the first ever internationally approved ten-over league. Eight teams are playing in the league and iconic international players from India, Pakistan, New Zealand, Sri Lanka, Afghanistan, England, Australia, Bangladesh and South Africa are also participating. The teams which are playing is Kerela Knights, Maratha Arabians, Pakhtoons, Punjabi Legends, Sindhis, Bengal Tigers, Northern Warriors and Rajputs.